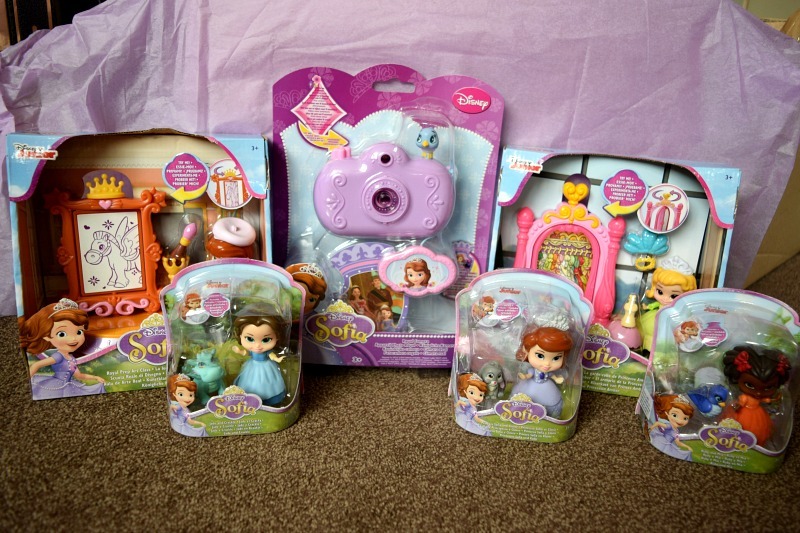 A few weeks back Gracie received an exciting parcel from Jakks Pacific, the parcel contained a selection of toys from the new Sofia the First, Magical Miniature Adventures collection. The range of toys consists of a selection of 3 inch figures and different play sets to use them with. 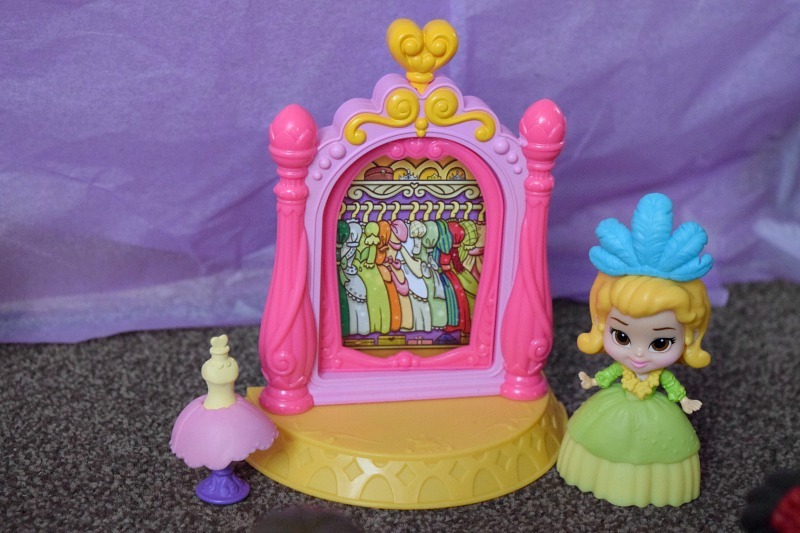 The Sofia the First Mini play set comes in a range of classroom styles. Sofia's Royal Prep Art Class (pictured above), Wizard lab and Princess Amber's closet (pictured below). Each play set features a spinning wall with a magical reveal and a 3 inch doll dressed in iconic outfits from the show. Gracie loves these sets. 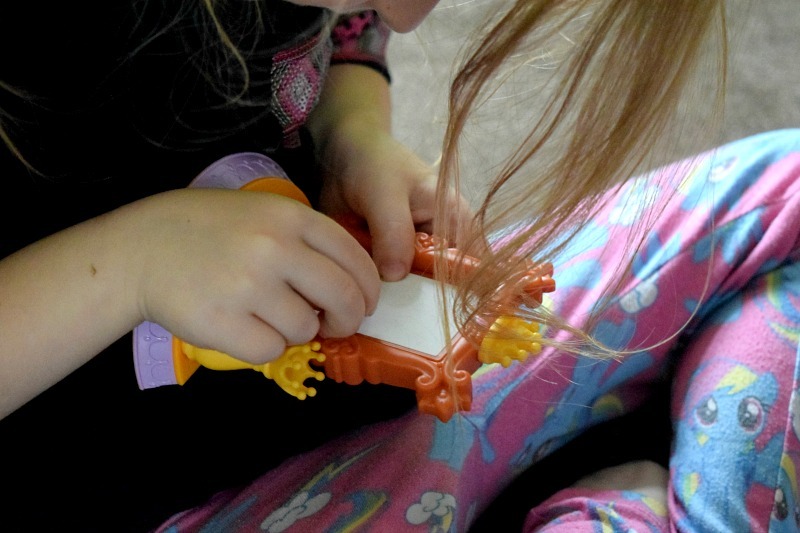 She received the two pictured and was so pleased to receive an Amber doll to play with Sofia. She loves the spinning part and loves to pretend Sofia is painting a masterpiece. 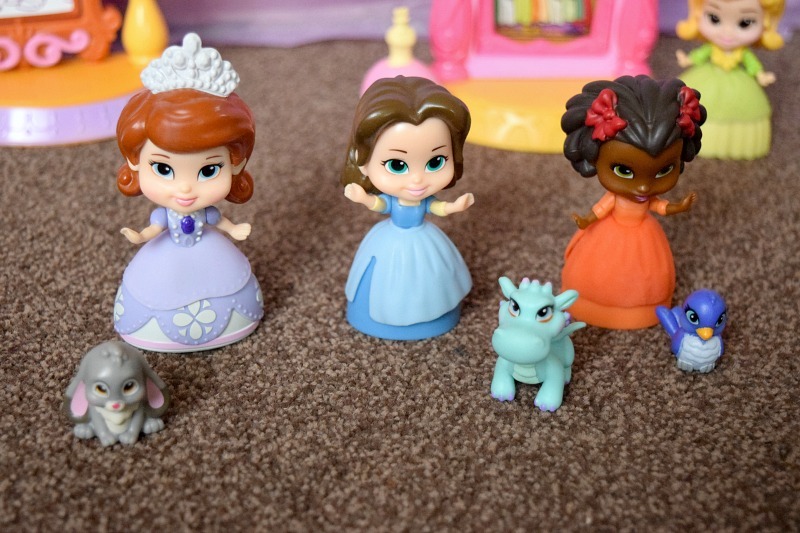 The Sofia the First Royal Friend figures are really cute. Children will love collecting Sofia and her friends in their different iconic outfits, just like in the show. There are three different Sofia figures, each in a different outfit as well as Amber, Ruby and Jade. Each doll also comes with a small animal friend. You might recognise the animal friends from the show. One of the favourite items in the box was this Sofia the First Royal Camera. Just like a normal camera, you look through the viewfinder, but rather than seeing what is the other side, you see eight scenes featuring Sofia and her friends. Gracie loves that it has a removable lens and real camera sound effects so it is just like my DSLR. 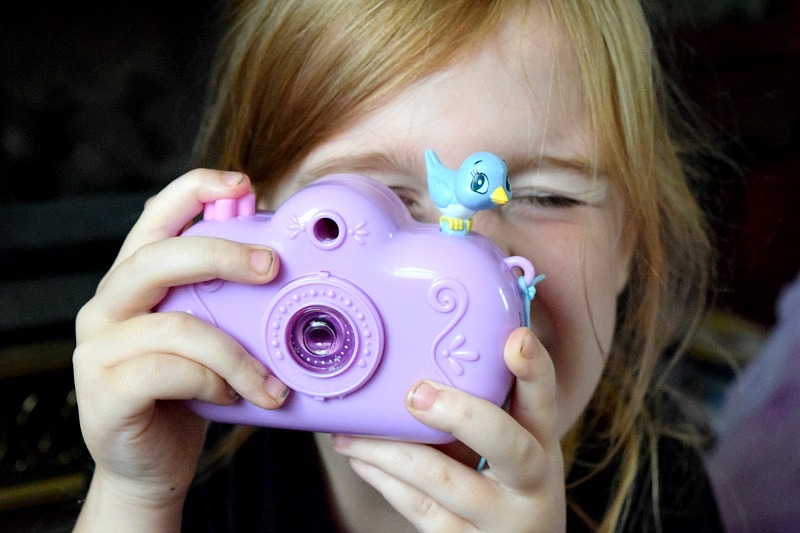 She has had so much fun having her Sofia the First photo shoots with her own camera. 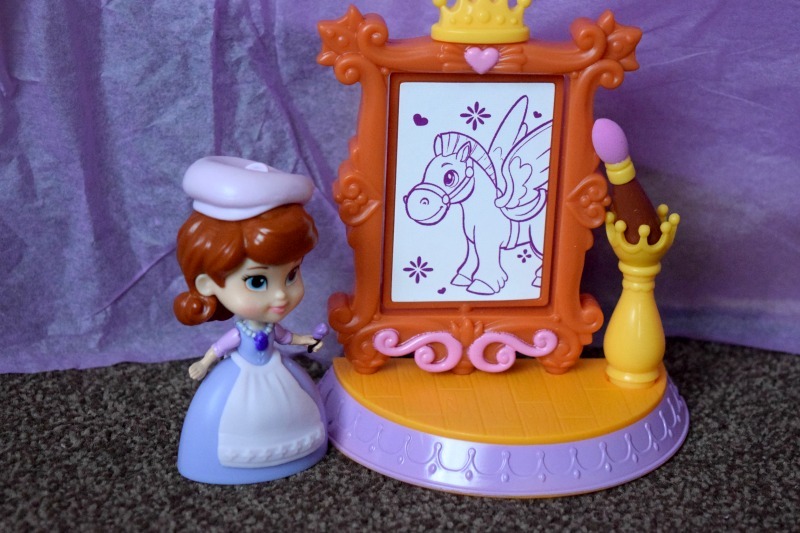 Gracie has really enjoyed the new Sofia the First toy range. The figures are great quality and it is really nice to see Sofia's friends in toy form. The only thing missing is a figure of Prince James! As well as the new toy range, there are also brand new episodes airing on Sofia the First on Disney Junior for two weeks at 4.30pm from 10th October. These will make some great presents for my friends kids for Christmas, great review!